We are currently participating in the Free and Open Source Outreach Program for Women, which runs two editions every year. 6.3 Design, Documentation, Marketing, etc. KDE has an extensive wiki documentation on how to contribute to KDE as well as a very convenient KDE Guide in e-book and pdf format. Do you have an awesome idea you want to work on with KDE but that is not among the ideas below? That's cool. We love that! But please do us a favor: Get in touch with a mentor early on and make sure your project is realistic and within the scope of KDE. That will spare you and us a lot of frustration. Mentor: Try to see who in KDE is interested in what you want to work on and approach them. 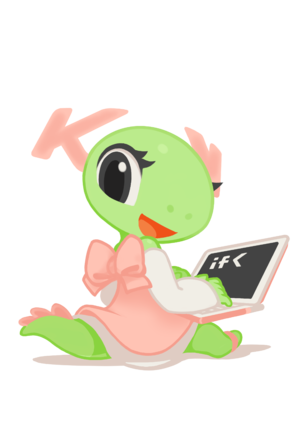 If you are unsure you can always ask in #kde-soc or #kde-women on Freenode IRC. All software projects also require design, documentation, marketing and translation. If you are interested in these tasks, you can learn about both the project and the activities of the relevant team to figure out how to best approach it. For coding tasks please refer to the GSoC Ideas page. All of them are eligible for the Outreach Program for Women as well. Artikulate is a young language software project that aims helping people to improve their foreign language pronunciation skills. The essential idea is that Artikulate shall provide a set of phrases and corresponding recordings, which are recorded by native speakers. By recording their own attempts and comparing them to the original recordings, students can correct and improve their own pronunciation. The main goal of this task will be to assist in the first release of Artikulate. Since the project is still young, there are still a lot of tasks open in different areas. Your own project proposal will surely reflect this by concentrating only on a subset of the following tasks, tailored to the three months period. Your project, if you will take it, consists of the following three tasks and an Add-On task from the appended list. Task 1: Course Files This is the most important one of all tasks! Artikulate already provides an editor and a specific mechanism how to create a course skeleton that is used as a blueprint for courses of other languages. But neither the course skeleton is filled (the goal is to have a set of about 1000 phrases in the end), nor are there courses that provide this set of phrases in other languages. The goal of this subtask is to extend the course skeleton with useful units and phrases (e.g., think about a unit with sentences a tourist needs when visiting a town, or sentences that are used in a restaurant) and provide (besides the skeleton that gives us already an English language course) a translation of one other language. Obviously, it is not possible for you to record every phrase (and not event wanted, since we want to have different voices!) or maybe even a prepare a translation of the course skeleton into another language (if you are an English native and do not speak another language well enough, for example). But no problem! As the internet is full of helpful people (and the KDE community in particular), it will be also part of this task to write blog posts, asking at mailing lists, or even asking friends and teachers to provide recordings or help you with the translations. Task 2: Documentation As every project, also Artikulate needs a handbook. This handbook must describe for users how to use the program, but also for contributors how to contribute new languages and course files. The handbook will be created at the Userbase Wiki (this also allows later integration into the program). Task 3: Workflow Planning We need to think about a reliable workflow on how to update and provide course files. A lot of ideas are already partially implemented or drafted. But it needs a written plan to remember those ideas. Also, when writing things down, usually the pitfalls will be discovered that weren't visible before. Add-On Task a: User Interface If you want to dig into QML and QtQuick (this is more a describing language to tell how the user interface shall look than a programming language!) and improve the user interface, this could be a nice subtask for you. If not, it is at least equally good to provide a concept with mockups and sketches how the user interfaces shall be changed to allow better usage for users and language contributors. Add-On Task b: Implement Highscore System Currently no highscores are saved that remind the user at which phrases or phonemes she/he was good and which she/he still needs to improve. A highscore system will help here. And it will not be that hard to implement it, though it will require coding knowledge in C++. Add-On Task c: Quality Assurance Protocol Most of the core functionality is implemented or will be implemented when this project starts. But to be sure that everything works as expected, we need a testing protocol that states what functionality we have, what needs to be tested to verify the functionality, and that can be used for every release to test the quality of our software. Krita is a succesful KDE application for digital painting. Krita development is supported by the Krita Foundation. Krita currently has an embryonic webshop on Zazzle, but there is next to nothing happening. However, with all the great art created by the Krita community, it should be possible to setup and maintain an attractive webshop full of great merchandise. Proceeds would go to funding the further development of Krita, in the widest sense. contact artists about the use of their artwork for Krita promotion and merchandise. We have a great artist community who regularly post artwork on the Krita forums and on deviant art. Part of the task is to search out, contact artists and ask them to contribute artwork for merchandise, and discuss the actual merchandise with them. and finally make sure that everything is setup to run smoothly ever after! Translate the site http://www.kde.org/documentation/ into various languages. Translate the site http://docs.kde.org/ into various languages. This page was last modified on 19 July 2017, at 09:37. Content is available under Creative Commons License SA 4.0 unless otherwise noted.